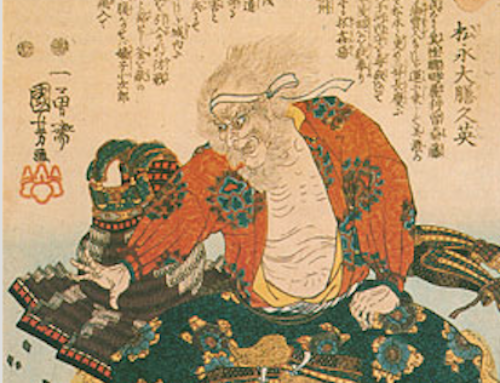 Goto Matabei (also known as Mototsugu) was said to have been born ready to fight. 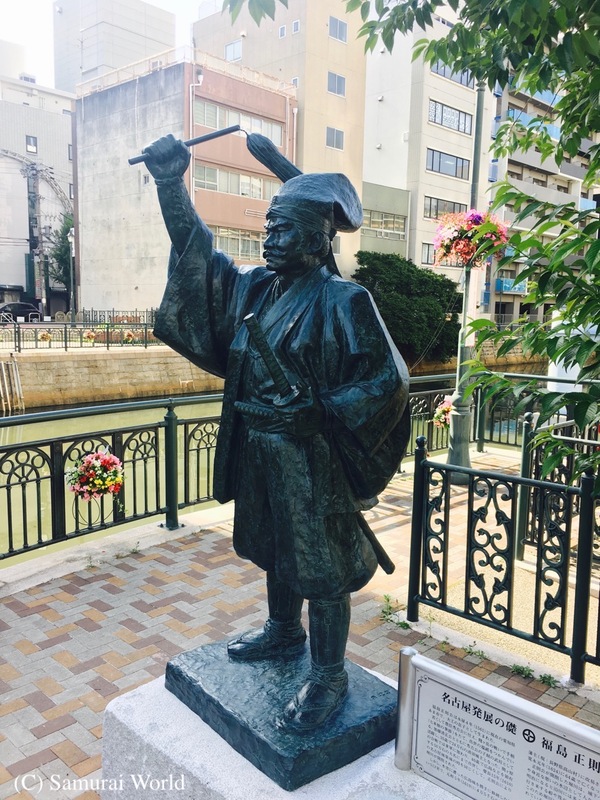 A native of Yamada Village, Harima Province (now part of Himeji City, Hyogo Pref.) 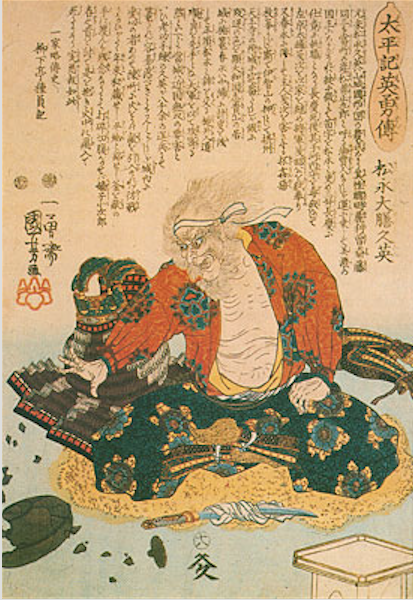 he was a much-respected professional warrior of the Sengoku period who often proudly boasted of the 53 scars on various parts of his body, trophies of the many wars in which he had participated. 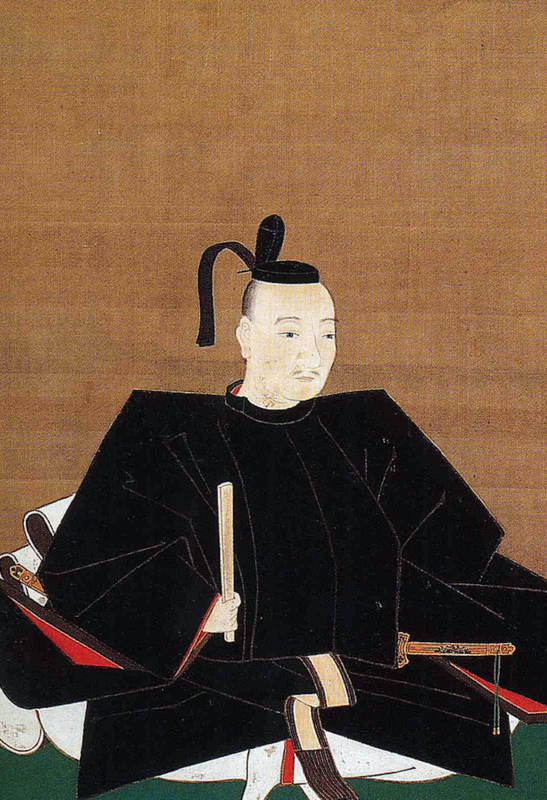 He first served the Kuroda clan under Kuroda Yoshitaka (Kanbei) with 100 koku stipend until 1604, when Kanbei died, and from then on was in the service of Toyotomi Hideyori at Osaka Castle. in 1593. 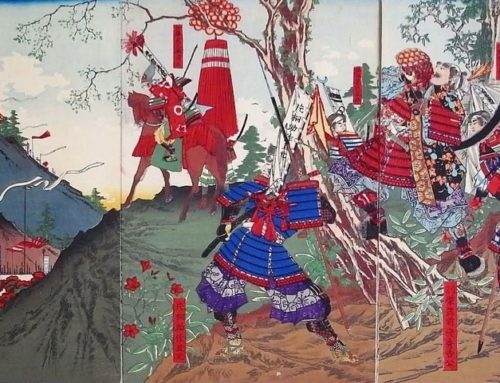 It is said he built a type of armour covered wagon in order to approach and undermine the walls of Korean fortress. 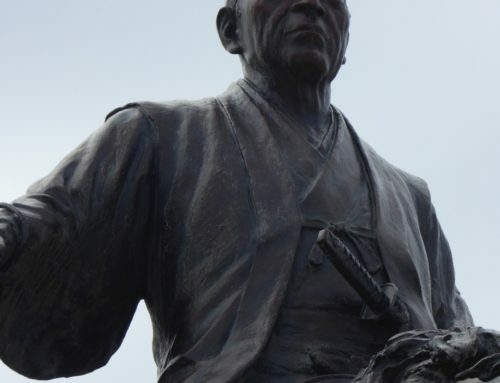 There are also anecdotes referring to him single handedly killing a tiger that had entered the Japanese camp and killed a horse. 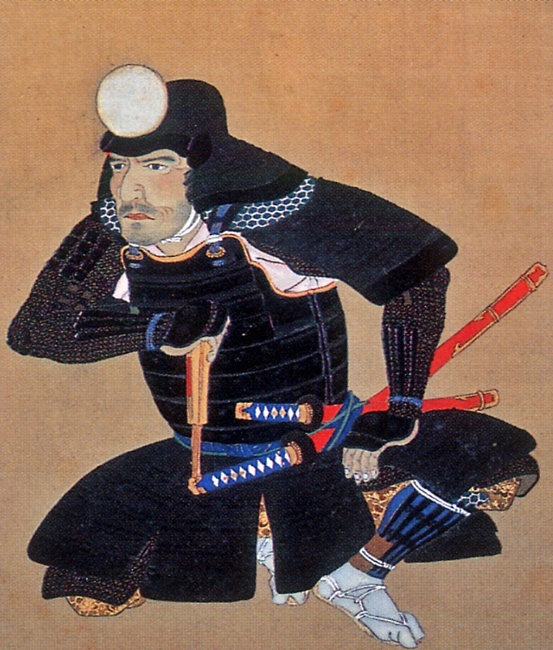 He saw action at the Battle of Sekigahara under Kuroda Nagamasa as a captain in the Eastern forces, taking part in some of the most violent of fighting as the Kuroda assaulted the Western forces headquarters on Mt. Sasao. 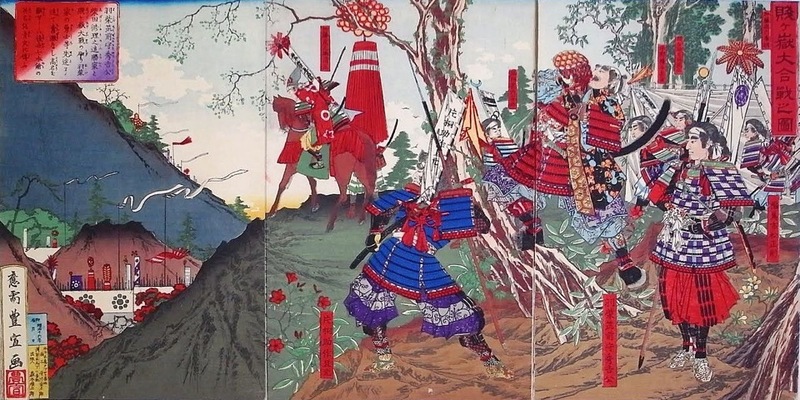 During the height of the battle, the horse mounted Matabei clashed with Ohashi Kanmon, a captain in the Western Forces, and claimed the man’s head. 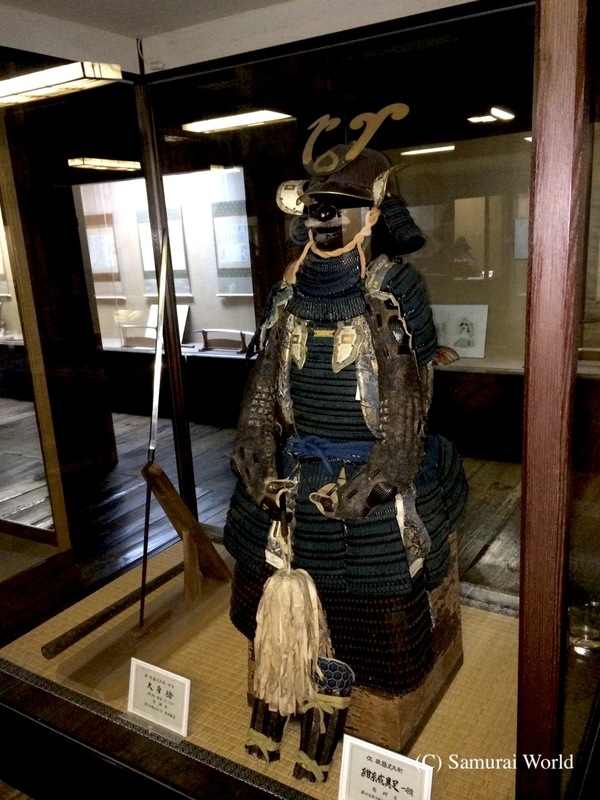 Matabei was another of the samurai fighting under Tokugawa colors that day who would later side with Hideyori in Osaka. 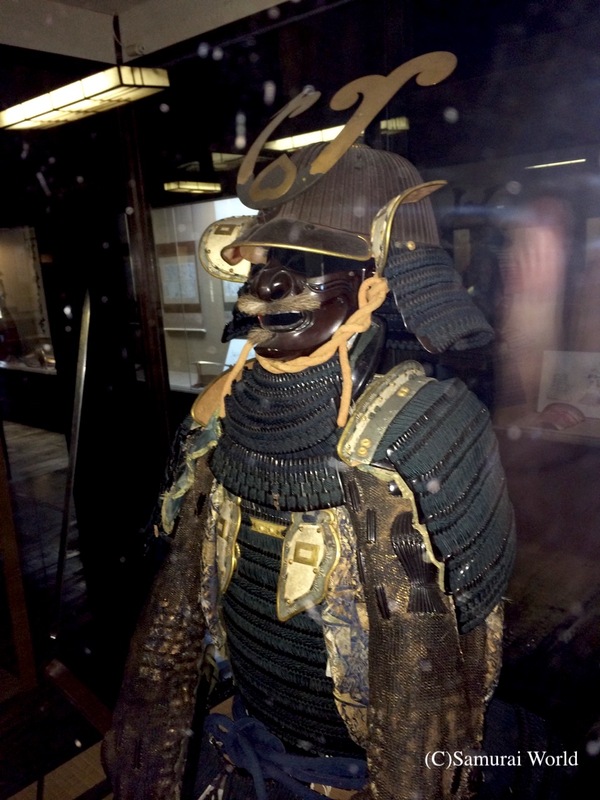 Goto Matabei was named as one of the “Five Heroes of Osaka Castle”. 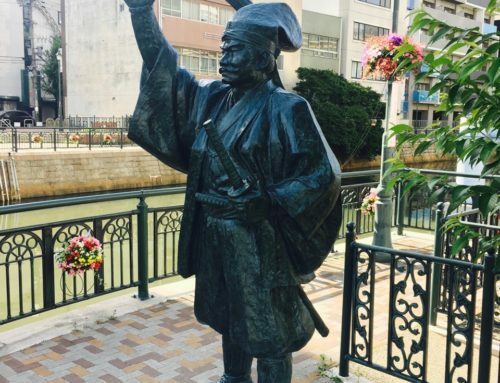 He died in action during the 1615 Siege of Osaka, Battle of Domyo-ji against the numerically superior troops of Date Masamune. 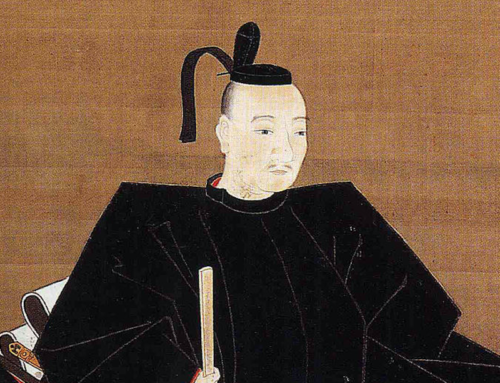 Matabei’s men had been holding out while expecting reinforcements, but due to an unusually thick mist, help was late to arrive. 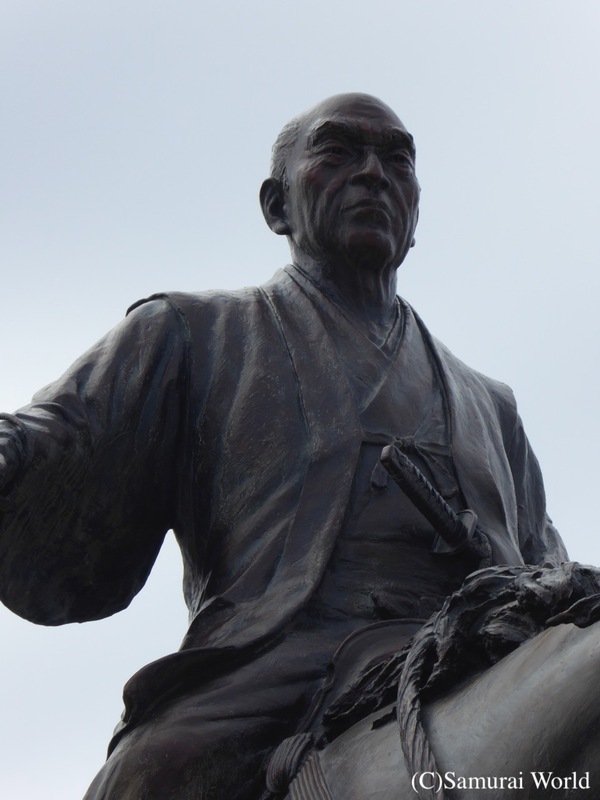 To hold off the Date forces, he and his men employed hit and run tactics, making numerous quick, decisive sorties against the enemy, slowing only through the extreme exhaustion of his horse. According to the stories, it is said that he personally took some 70 to 80 enemy before being struck down by a musket ball. Unable to stand, he committed seppuku on the field. He was 56 years old.